This low carb ham and egg casserole is made in the slow cooker – perfect for brunch! A meal cooked in the slow cooker isn’t always convenient for breakfast – but for brunch it is perfect! Just tip everything in, and set it cooking. Add some butter to the bowl of your slow cooker and let it melt. 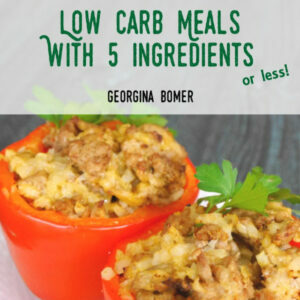 I have a small 3 quart slow cooker which works very well for this recipe. You could use some additional non-stick spray as eggs DO have a tendency to cement themselves to the bowl! Trim a large ham steak and chop it into cubes. I love the thickness of these steaks!! Add it to the slow cooker bowl with chopped green onions In a large jug, beat the eggs, add the cream, and pour into the slow cooker. Add some shredded cheese (I used an Italian blend of cheese but cheddar or pepper jack would work well too!) and season with black pepper. Mix well. Cook on high heat for 1 hour, then give everything a good stir. This helps to ensure even cooking. Continue to cook for another 30 minutes or until the center has cooked. It will be all puffed up and smell really inviting! Add the butter to a slow cooker bowl and let it melt. Spray with additional non-stick spray if using. Add the cubed ham, and green onions to the bowl. Beat the eggs in a jug, add the cream, then pour it into the slow cooker. Add the cheese and black pepper, then stir well to mix. Cook on high for 1 hour and stir well to ensure even cooking. Cook on high for another 30 minutes or until the center is cooked through. This is brilliant in its simplicity. 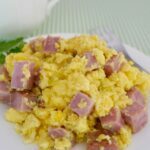 Egg, ham and cheese – what else does a girl need for breakfast? Like it! 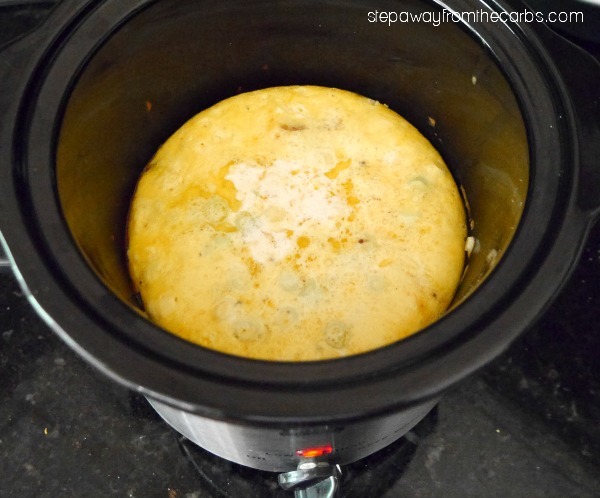 I love crockpot meals (and crockpot liners – seriously)! 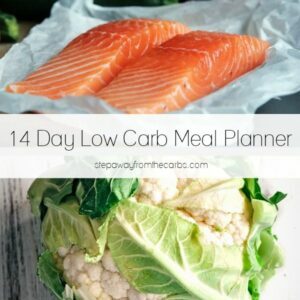 This looks so easy! Shared with my followers! 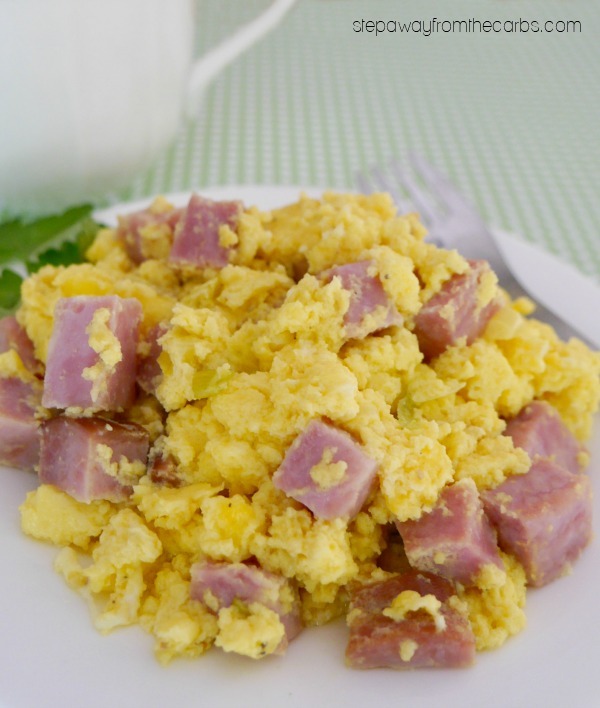 I love ham and eggs and the simplicity of this recipe. Nice that it can cook in the crock pot and be ready just in time for brunch, leaving time for one to do other things. Great! I’ve never thought to use a slow cooker for a casserole, what a clever idea! What a great idea! 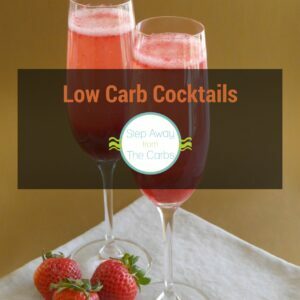 Perfect for a low-key brunch! This would be great to have cooking while we go to church. Love it!